Following his apology a lot of folks then became upset about his apology because they felt that he had been pressured into it, and all because of what has become known as “political correctness”. After all what was wrong with his statement? He was just telling us about his fears wasn’t he? Can’t he be afraid of a black kid in a hoodie if he wants to be…without having to apologize for it? Because, why isn’t a white guy in a hoodie, late at night, scary? If you put the bald white guy with all the tattoos in a hoodie then you wouldn’t be able to see his bald head and tattoos would you, so he wouldn’t look scary anymore would he? But the black kid in the hoodie is scary because??? 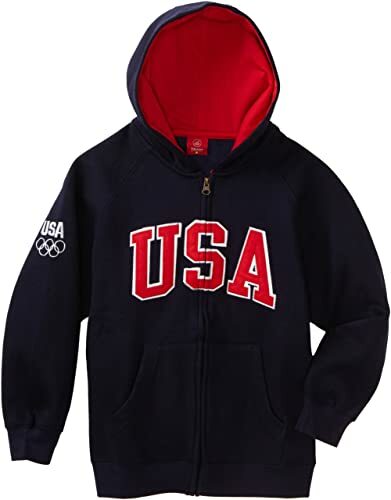 A hoodie is just short for hooded sweatshirt which is one of the most ubiquitous pieces of apparel that can be purchased on this planet. They’re everywhere and I would venture to guess that almost everyone has one. Every sports team in America sells them with their logos attached. Every College and university in America sells them too, with their logos attached. Every High School in America sells them also and with their high school’s name and mascot prominently displayed. You can buy hoodies with names and logos attached from Amusement parks, to sporting goods companies, to church groups to the nation’s Armed Forces… to whatever you’d like. So what makes them look scary when a black kid is wearing one? Is it the hood? When I wear my hooded sweatshirt and I put the hood on it means that I’m cold or it’s raining or perhaps if it’s neither raining nor cold I’m just trying to look cool. If a woman puts the hood up…she’s either cold, wet or just being cute like Little Red Riding Hood. But a black kid with a hoodie is scary because…the hoodie makes him a hoodlum? Or Could it be the black face inside? Is he less scary when he doesn’t wear clothes? Because that’s all a hoodie is isn’t it? If you are not afraid of hooded sweatshirts then what are you afraid of? Mr. Cuban painted a picture of a specific white male that scares him: Tattooed all over with a shaved head. We all recognize that stereotype as the description of a probable “skinhead” or “Neo-Nazi” type of white male and our knowledge of the violence inherent in those groups is what triggers our fear…but to simply describe a “black kid in a hoodie” provides no description at all. So what would be stereotypically specific to that description that would trigger his fear? Or trigger your perhaps instant recognition of what Mr. Cuban was getting at? And that’s why he needed to apologize. and that’s why we all need to examine our fears more closely and ask how we got to be so afraid of what we are afraid of…in the first place. Here in the USA we have always prided ourselves on our diversity and our cultural “melting pot” that makes us so varied in opinion and population, yet it seems that difference is what most Americans are afraid of…when oddly enough and Statistically speaking… and the numbers here are overwhelming…if anyone were to ever cause you harm, they would almost certainly be wearing the same color and kind of face as you. Perhaps what we have most to fear is simply fear itself? The Water’s Great but Watch Out for the Soap! It’s a chemical and antibacterial agent that is found in soaps, toothpastes, cosmetics, deodorants, and many other products. Apparently it is so common that it’s difficult to avoid. One study found triclosan in the bodies of 75 percent of people tested. That’s a lot of people…and triclosan! And now, of course, and as you might have guessed, many experts are saying that it doesn’t just kill bacteria but it is also known for altering hormones, interfering with muscle function, causing allergies, and spawning resistant germs…But product manufacturers, of course and as you also might have guessed, say that triclosan is safe in humans…so?…Who to believe? Well a little investigative, computer research found that… Triclosan does penetrate the skin on contact and enters the bloodstream… A 2010 study found that children who had higher exposure to triclosan had a higher incidence of hay fever. Triclosan is toxic to aquatic bacteria at levels found in the environment. Triclosan inhibits phoysynthesis in diatom algae, which are responsible for a large part of the photosynthesis on Earth!…and several studies have found that Triclosan has estrogen effects on the body and has been linked to breast cancer in women, prostate cancer in men, and a whole host of other health problems. And finally Triclosan also has been employed as an effective selective agent in molecular cloning! I don’t know about you but when an ingredient used in a common household product can also be the subject of a science fiction novel, I say let’s stop using it. But here’s the real kicker…although Triclosan is used in three-quarters of antibacterial liquid soaps and body washes…according to the Food and Drug Administration….plain soap is just as effective as triclosan-containing antibacterial washes in removing bacteria from hands and preventing illness! So in other words…IT DOESN’T EVEN WORK! I’ve never understood why companies have to add all sorts of chemicals to products that otherwise would work just fine especially when the added chemicals are dangerous and ineffective. If you want to fool me into thinking that your product is new and improved just tell me that, or make up a name for the special additive that you really aren’t adding and don’t add it! How would I know? I just want to wash my hands! 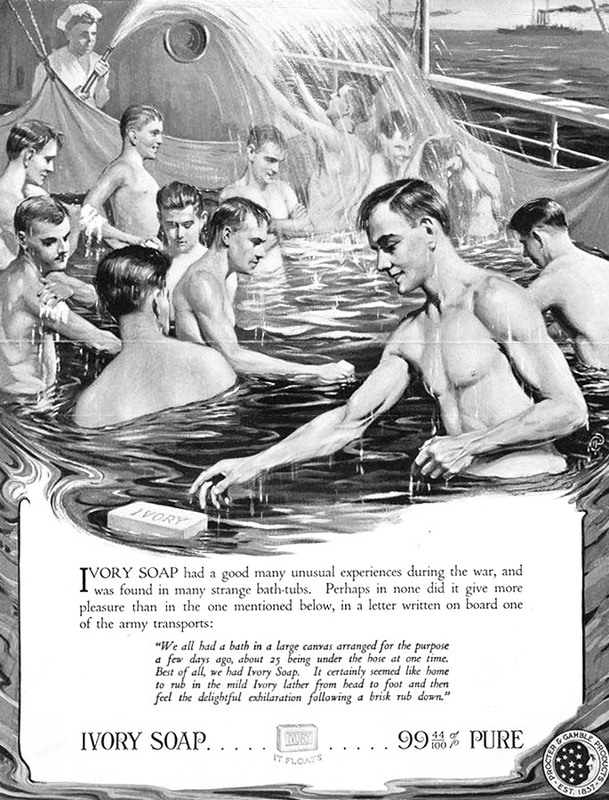 When I was younger, whenever I would see an Ivory soap commercial that would claim that Ivory soap was 99 and 44/100% pure, I would always wonder…pure what? Pure Ivory? So I looked it up and Ivory soap contained: sodium tallowate, sodium cocoate, sodium palm kernelate, water, sodium chloride, sodium sillicate, magnesium sulfate and fragrance….So I guess it’s pure sodium? With fragrance of course so it doesn’t smell like crap…but at least it doesn’t have Triclosan! Because apparently that stuff will make you…sickeningly… clean. Stay away from products labeled “antibacterial,” “antimicrobial,” or “germ killing. Avoid “antibacterial” or “antimicrobial” household items such as cutting boards, towels, shoes, clothing, and bedding because those products are often impregnated with triclosan. Good luck! And may the faucet be with us! 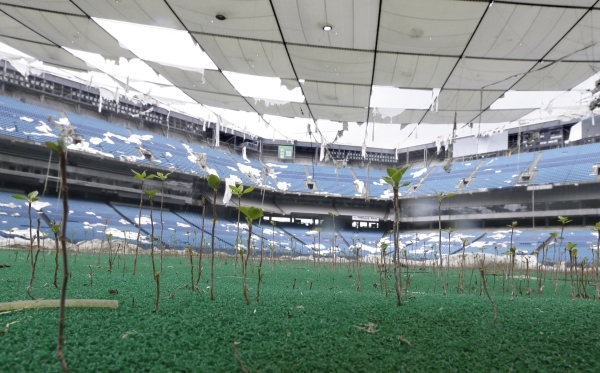 This is a photo of the Pontiac Silverdome in Pontiac, Michigan. Once proud host of the NFL Superbowl, Wrestle-mania, Elvis, Led Zeppelin the Rolling Stones And Pope John Paul II, it has since been abandoned and fallen into disrepair. And yet, despite having been a domed stadium and sporting artificial turf, seedlings now grow from the lifeless plastic landscape. We have yet to find evidence of the existence of civilizations on other worlds outside of our own. But if we ever do discover life on some far away and distance world…I’m betting it will be weeds! 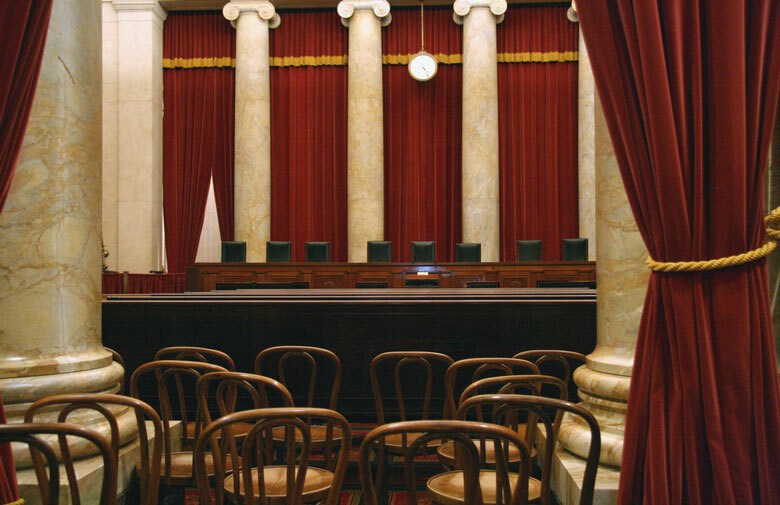 When you think about it, the Supreme Court of the United States has been quite busy reforming the way we do business in this country by helping to re-interpret our Constitution and prepare it for the 21st century. In the last few years they have declared corporations to have the same rights as human beings, free to speak by spending unlimited amounts of money to support their corporate interests. The humans who work for them are now also allowed to spend unlimited amounts of money in support of their favorite candidates who can then legislate with those corporations best interests in mind. You and I of course as lesser beings of the new century are also free to spend as much money as we want on our favorite candidates who will have our human interests in mind. After all that’s what freedom is all about isn’t it? The Supreme court has also determined that voter’s rights and affirmative action regulations no longer serve any purpose within our society because human beings have grown in character and thought and risen above the petty emotions and primitive thinking that once ruled our every day affairs. Because here in the new century humans have evolved beyond the need of regulatory government. I was reading an article today about the legal drinking age of 21 and how ever since it was raised from age 18 thirty years ago there has been an increase in the abuse of other drugs by teens and those under the age of 21. In fact, Teen drug abuse with opioids is now second only to marijuana in popularity and today almost one in 10 high school seniors report taking hydrocodone (Vicodin) within the past year. And Among teens and people under the age of 30, Anti-anxiety drug abuse is the most common among abused drugs. The Mayo Clinic describes Prescription drug abuse as: The use of a prescription medication in a way not intended by the prescribing doctor, such as for the feelings you get from the drug. Prescription drug abuse or problematic use includes everything from taking a friend’s prescription painkiller for your backache to snorting or injecting ground-up pills to get high. what I find most interesting or perhaps most distressing is that these new “most commonly abused drugs” are not illegal drugs but rather what is commonly called prescription medication…meaning that a doctor’s prescription is needed in order to legally obtain them. According to the National Institute on Drug Abuse, over 48 million people are using prescription drugs for non medical reasons. That’s just about 20% of the entire U.S. population! And of course this increase has led to a corresponding increase in ER visits because of accidental overdoses as well as admissions to drug treatment programs for drug addictions. But if the most abused drugs like, Xanax, Vicodin, Oxycontin, Ritalin, Adderall and Ambien can only be obtained with a doctor’s prescription presented to and filled by a Pharmacist, then how does everyone get their hands on so many of these drugs? Especially when you need access to quite a few of these pills to develop an addiction in the first place. Isn’t this a case of prescription addiction/abuse before it’s a case of drug addiction/abuse? I was reading Time Magazine this morning and I came across this quote from the Israeli Prime Minister, Benjamin Netanyahu, who, during an interview, was lamenting what he considered to be the overuse of cellphones everywhere and the constant snapping of cellphone pictures and selfies. “So I’m the only person here without all these electronic devices? And I’m a free man, and you’re all slaves. You are slaves to your gadgets.” He said. When I read that I did think it was a bit extreme but later that morning while driving across town I harkened back to his words as I had the fright of my life! For what did I encounter but another driver in front of me who was talking on his cellphone. The good news was that he was using a hands free device. I could tell because of the headset he had on and the fact that he wasn’t holding a phone in his hands. The bad news was that he wasn’t holding anything in his hands! Not even the steering wheel! He was apparently a hand talker and he even had his window rolled down so that when he excitedly gesticulated during his conversation his left hand had someplace to go. So there he was wildly gesturing and waving his hands (which often appeared outside of his vehicle!) while his car careened down the right side of a four lane main road. I tried to keep my distance and wondered what would happen as we both approached an oncoming bend in the road…and wouldn’t you know it…around the bend he went still talking and flailing away with both hands. He was steering with his knees! 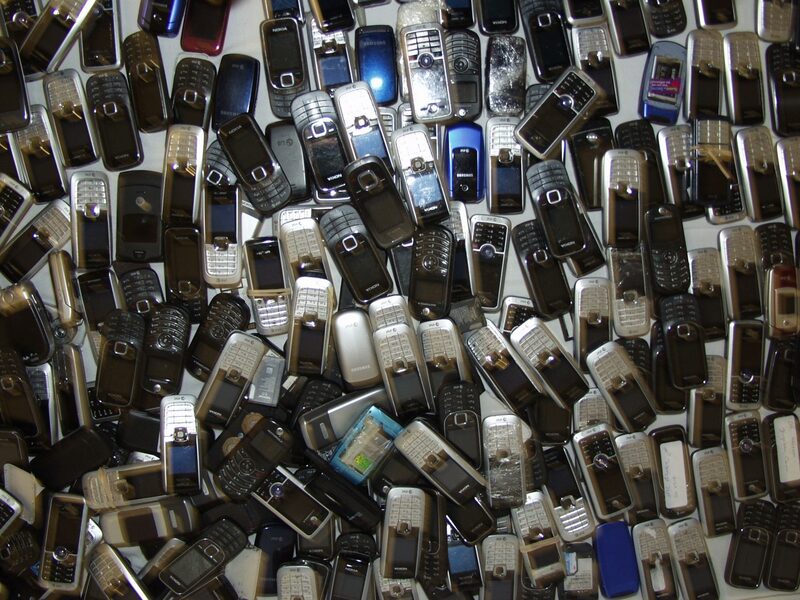 So talk about being a slave to one’s gadgets. Perhaps Prime Minister Netanyahu has it right? Can’t we put down our phones for one damn minute these days? Can’t we just all stop talking, texting and taking pictures of everything…and enjoy our lives, smell the coffee, and watch the road??? The Prime Minister HAS AN ACTIVE INSTAGRAM ACCOUNT!!!!! Where you can checkout his latest photos and selfies!!! So now I’m guessing he has his own personal driver too…at least I’m hoping he does. If Jesus were walking the Earth today, what do you think he would have to say about Capitalism as the form of government here in the United States of America, the self described greatest Christian nation in the history of mankind? Do you think he would be in favor of it?